Mercur Hotel is in the heart of Copenhagen, walking distance from Tivoli Gardens and Tycho Brahe Planetarium. 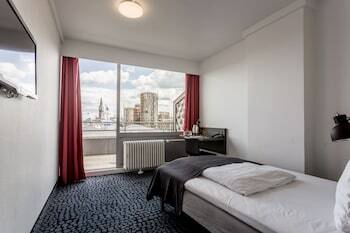 This hotel is within close proximity of City Hall Square and Copenhagen City Hall. Stay in one of 119 guestrooms featuring flat-screen televisions. Complimentary wireless Internet access keeps you connected, and digital programming is available for your entertainment. Conveniences include safes and desks, and housekeeping is provided daily. Take advantage of recreational opportunities offered, including an outdoor tennis court, a 24-hour fitness center, and bicycles to rent. Additional features at this hotel include complimentary wireless Internet access, an arcade/game room, and a television in a common area. 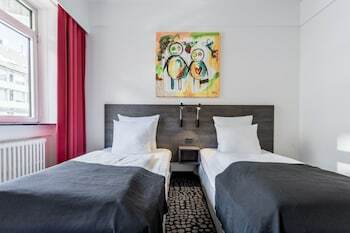 Copenhagen Mercur Hotel is an ideal Copenhagen lodging choice for your trip to Denmark. 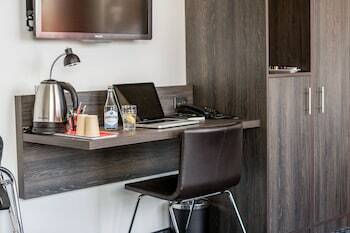 With numerous amenities for guests such as 24 hour front desk, tennis court, game room, you will wake up at Copenhagen Mercur Hotel feeling ready to go every day for your time in Copenhagen. Don’t let this amazing reservation opportunity pass you by, book your stay at Copenhagen Mercur Hotel today to make the most of your time in Copenhagen, Denmark.